Just when you think the Apple rumor mill has gone wild, comes confirmation that a whispered product is in fact real. Such is the case with the 128GB iPad 4, which will become available on Tuesday. What configurations will be available and how much will they cost? Step inside, peeps. 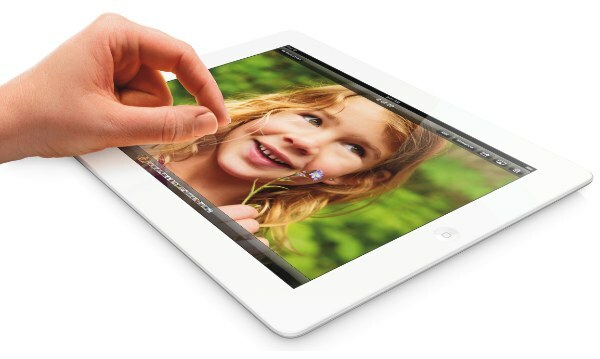 Yes, we have fresh iPad 5 spy photos (steaming? ), but the other big “story” of the week has been the 128GB iPad 4. It turns out the latter will be the first to become make the transition from fiction to fact. First and foremost, Apple has announced a 128GB addition to, not a re-ordering of the iPad 4 line. There was some hope that the 16GB model would be dropped and that the mothership would effectively double storage while maintaining existing prices — that isn’t happening. “With twice the storage capacity and an unparalleled selection of over 300,000 native iPad apps, enterprises, educators and artists have even more reasons to use iPad for all their business and personal needs,” said Philip Schiller, senior vice president, Worldwide Marketing. Come Tuesday, February 5 Apple will begin selling two new 128GB iPad 4 configurations — a wi-fi only model for $799 and wi-fi + LTE model for $929 — via the Apple Store and authorized resellers. Apple is not accepting until pre-orders. For what it’s worth, a 128GB Microsoft Surface Pro sells for $200 more, though only 83GB of that space is available to the user. The addition of the 128GB iPad is a good thing™. However, I’m alone in being disappointed that Apple didn’t go big by doubling storage while maintaining prices.